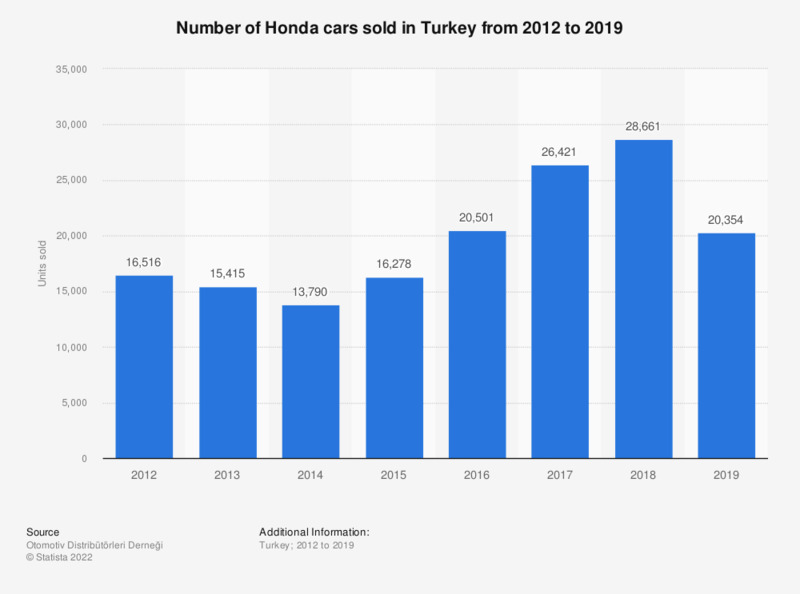 This statistic shows the number of cars sold by Honda in Turkey between 2012 and 2018. Turkish sales of Honda cars decreased from 16.5 thousand units sold in 2012 to less than 14 thousand units sold in 2014. However, Honda reached a new peak in sales in 2018, with over 28 thousand cars sold in Turkey.